d i v e r s i t y w o m a n . c o m S p r i n g 2 0 1 8 D I V E R S I T Y W O M A N 1 Contents > SPRING 2018 Issue 28 Feature On Target 29 Lessons in women's advancement from a retailer that values community connections. Blazing a Trail 34 Five companies that have crafted smart strategies for advancing women in the workplace. Upfront 5 Minutes with … Yolanda Conyers of Lenovo. 7 Shortcuts Tools and techniques for staying focused. 9 Versus Women in political office, then and now. 9 DW Hot List Fearless career women in film and TV. 11 The Office Look younger than your years? Tips for getting respect at work. 11 Anatomy of a … pay raise. 12 Stars Who Mean Business Jessica Simpson's retail empire. 13 Etc. 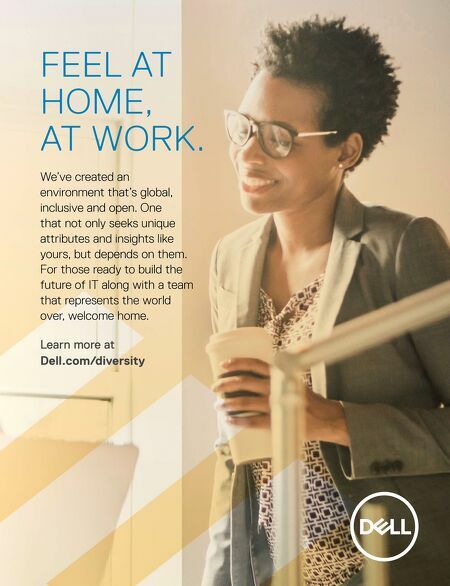 Women's career opportunties and challenges in seven countries. 13 Next How entrepreneur Bruktawit Tigabu has made learning fun for Ethiopian kids. 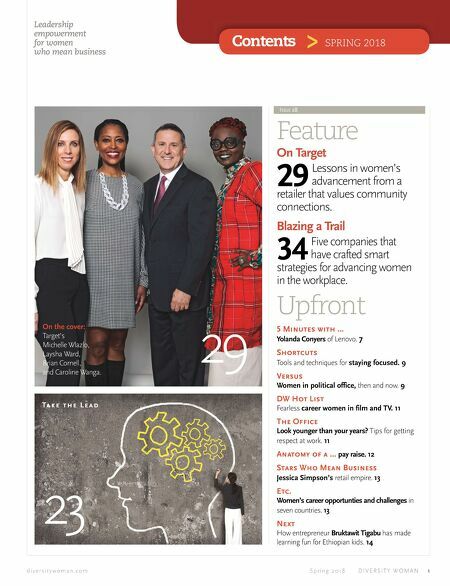 14 29 Leadership empowerment for women who mean business Ta k e t h e L e a d 23 On the cover: Target's Michelle Wlazlo, Laysha Ward, Brian Cornell, and Caroline Wanga.